This time we will discuss about the coldest topic on Finnish summer 2010.
y: It is 25º C in my apartment. x: Nice that the grass grows. 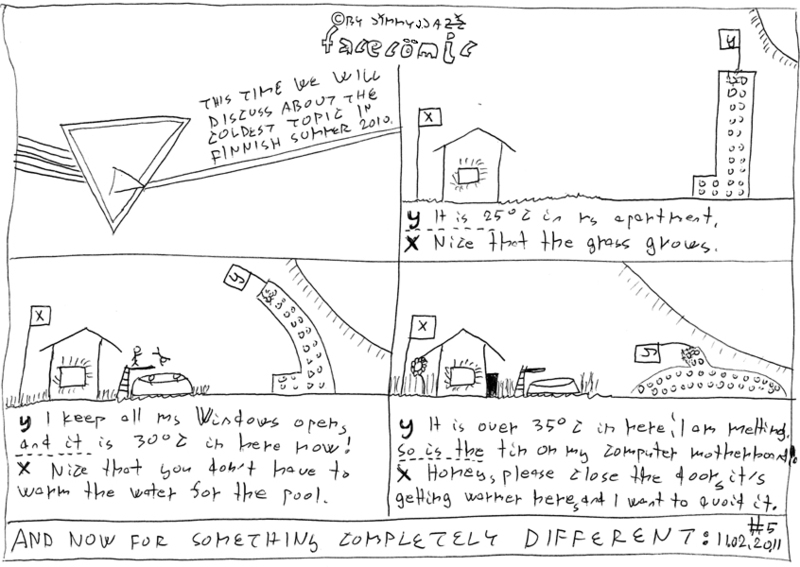 y: I keep all my Windows open, and it is 30º C in here now! x: Nice that you don't have to warm the water for the pool. y: It is over 35º C in here! I am melting. So is the tin on my computer motherboard! x: Honey, please close the door, it's getting warmer here, and I want to avoid it.